This case of 250 Federal Tactical shotshells is the perfect defensive load for your 12 gauge shotgun. 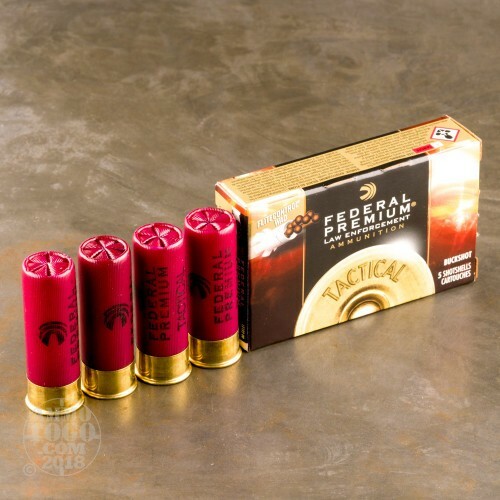 Each 2-3/4" shell fires 9 pellets of 00 buckshot at a muzzle velocity of 1,145 feet per second. 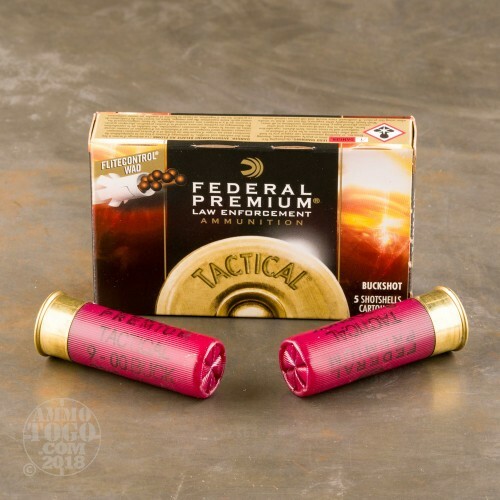 This relatively mild loading helps prevent overpenetration and reduces felt recoil, allowing for faster follow-up shots in a hectic defensive situation. 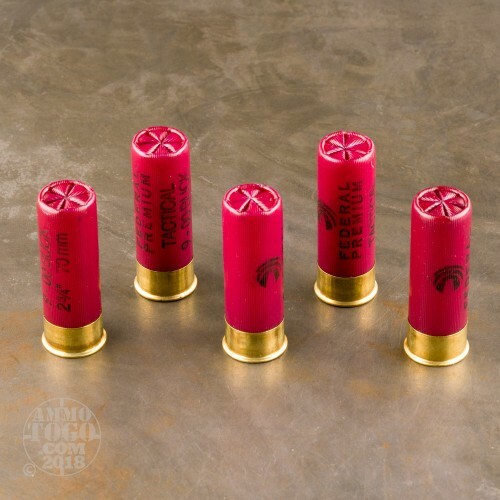 These shells use the Flitecontrol wad, a rear-breaking design that keeps the shot together for about 10 feet after it leaves the barrel. This enhances accuracy at medium range without giving up much in the way of hit probability close-up. This stuff is one of the best loads for a home defense pump action shotgun. 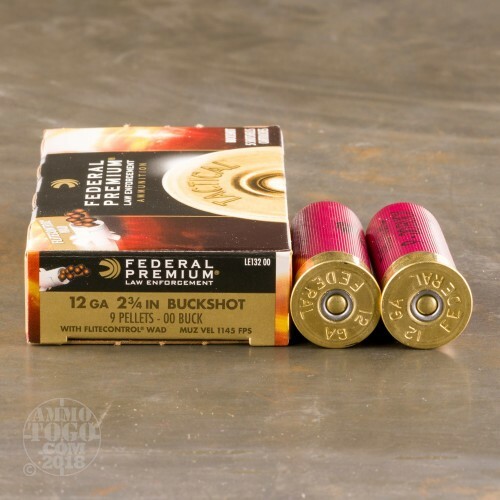 The only load I think is better is the Federal 15-pellet #1 buck load, also with the flite control wad, that is very hard to find and uber expensive.